In response to a growing focus on the importance of reproducibility, replication, and transparency in the research endeavor, scholars are adapting their practices and learning new skills and tools. DVS is offering a workshop series that will introduce the concepts, practices and tools that will help increase the reproducibility of your work. This workshop will introduce the concept of reproducibility, its impact on science, and basic best practices that you can apply to make your work more transparent and reproducible. The workshop will be taught by a guest instructor, April Clyburne-Sherin, from Code Ocean. The general functionalities of the computational reproducibility platform Code Ocean will also be presented during the workshop. I'd like to receive occasional news and updates on Code Ocean. Your seat is reserved. Enjoy the workshop. April is an epidemiologist, methodologist, and expert in open science tools, methods, training, and community stewardship. She holds an MS in Population Medicine (Epidemiology). 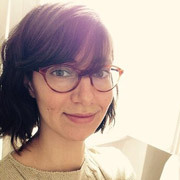 Since 2014, she has focussed on creating curriculum and running workshops for scientists in open and reproducible research methods (Center for Open Science, Sense About Science, SPARC) and is co-author of FOSTER's Open Science Training Handbook. In her current role as Outreach Scientist at Code Ocean, she trains scientists in computational reproducibility best practices.